When you visit Rattle, our systems collect basic information about your computer, including Internet Protocol Address, operating system, browser software, and Internet Service Provider. We also collect information about what you view on the website. 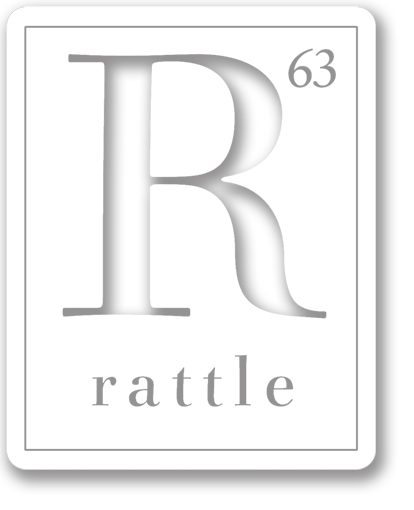 This information reflects our readership as a whole and is used to help us better understand and best serve the Rattle community. After subscribing, purchasing issues, or submitting work to Rattle, users will receive email news and other occasional announcements from Rattle relating to deadlines and special calls for submissions. We will also remind subscribers by email when their subscriptions lapse. Occasionally, we will send these reminders by physical mail as well. All of our content is user-driven, so it’s important to keep users informed about what kind of work we’re looking for in the future. Sending information about upcoming publishing opportunities and subscription status serves your legitimate interests, as well as our own as a literary nonprofit. In order to distribute our email and physical mail, we collect email addresses and other contact information from those who submit, subscribe, or purchase content. Other than what is necessary to fulfill your subscription and purchase orders, we do not share any contact information, including email addresses, with other individuals, companies, or partners. Users can unsubscribe from receiving emails from Rattle at any time. Rattle may make comment forums available to its users beneath certain posts. Please remember that any information disclosed in these areas becomes publicly available, and therefore you should exercise caution when disclosing personal information. Protecting the rights of children is important to us. We do not collect or maintain any information from individuals we know to be under 13 years old, and no part of the website is intended to attract anyone under 13 years old.